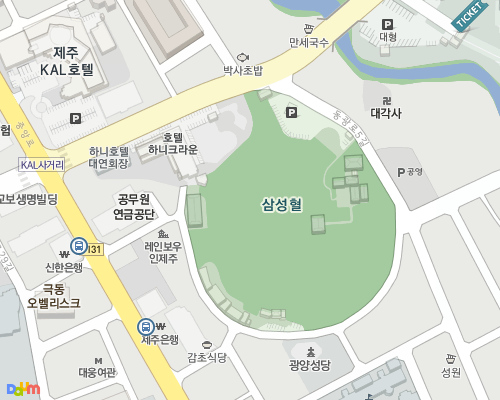 Samsunghyeol is located just 4 stops travelling by bus ( via #100 bus ) from my house. According to legend, Samseung Hyeol is where three demigods emerged from the ground to become the founding fathers of Tamna. This is the basis of the legend, and it is well-known to most Jeju residents. The Tamna kingdom ended in 1404 when it was absorbed by the newly founded Joseon Dynasty.